She and Dave, her husband of 39 years, have two children, three grandchildren, and one more on the way. The Holsts live in rural Eldridge, Iowa, where Diane enjoys gardening, cooking & canning, reclaiming sections of prairie, and entertaining family and friends. Diane has worked in the private sector for 35 years, primarily in the technology and contract support sectors. She is currently a Renewal Sales Support Specialist for Hewlett-Packard, TS Americas Services. 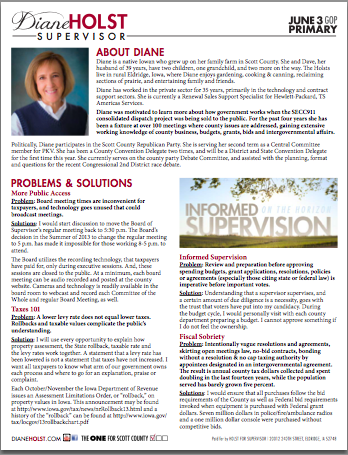 Diane was motivated to learn more about how government works when the SECC911 consolidated dispatch project was being sold to the public. 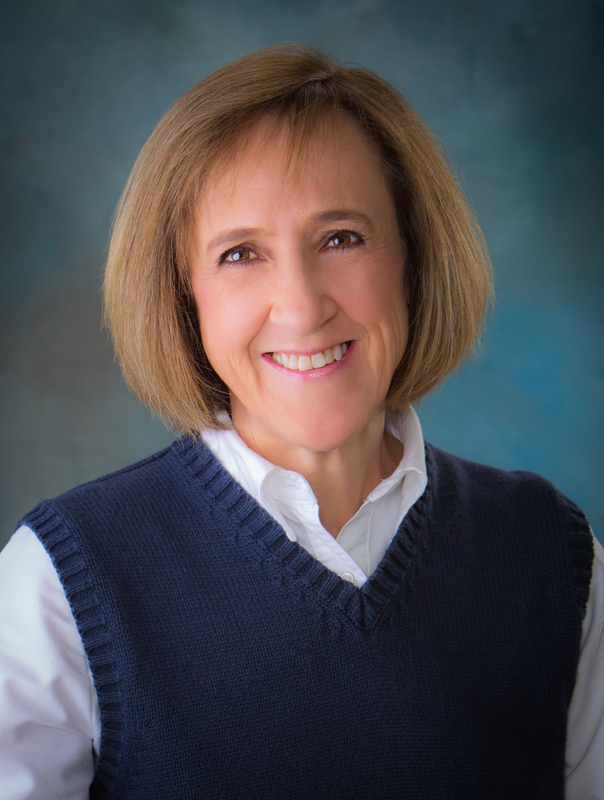 For the past four years, she has been a fixture at county meetings, gaining extensive working knowledge of county business, budgets, grants, bids and intergovernmental affairs. Politically, Diane participates in the Scott County Republican Party. She is serving her second term as a Central Committee member for PKV. She has been a County Convention Delegate two times, and was a District and State Convention Delegate for the first time this year. Meet Diane: Click here for dates, times, locations.